It is not that I didn't like the MOTU, but overall, the RME seems to me to be a better option, despite I felt the MOTU ended up giving you a much better deal for the money! In terms of sound, I don't think the difference was abysmal or anything close to that. And to show this, I have recorded a simple demo comparing it with my RME Fireface 800! In this short demo, there are 5 different sounds (produced by the Clavia Nord Modular G2) being played, each of them recorded 3 times! First, I recorded it using the front inputs of the MOTU 828 MkII, followed by the back inputs of this same sound card. The third time, the sound was recorded using the back inputs from the RME Fireface 800. And of course, to make this a fair contest, I normalised the volume in Ableton Live 9! However, the drives available make the RME a much nicer machine! 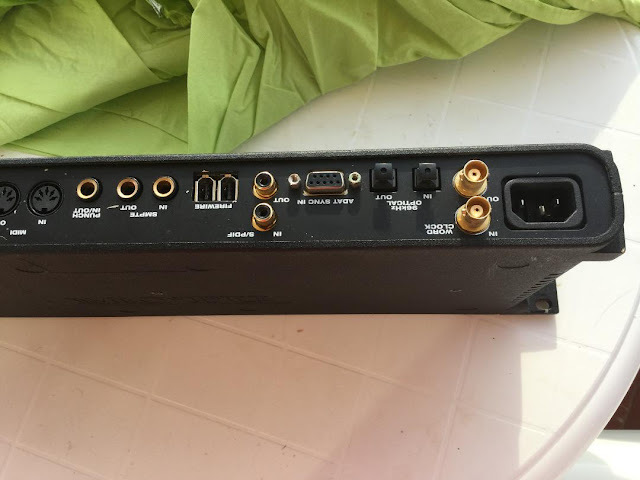 Still, the impression I got, using the MOTU 828 MkII with the standard drivers made available at MOTU's own website, is that it is a better machine to use without rather than with a computer. On its own, you can easily use the MOTU as a mixer, since you can easily configure the routing of the different channels using the front panel. This is a task that is impossible to do with the RME Fireface 800, since it doesn't even feature a control panel. 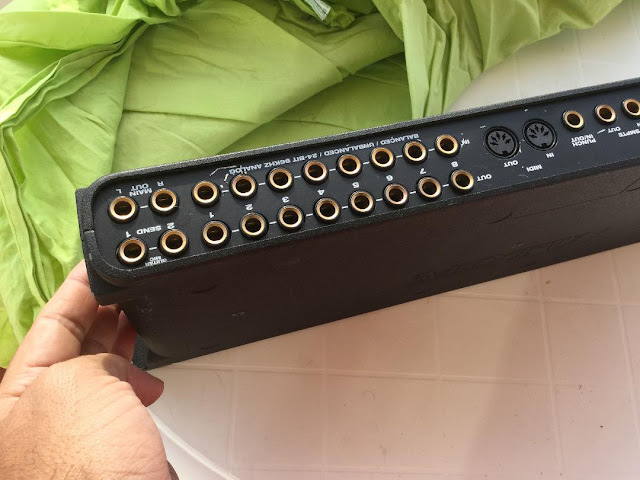 However, if you want to use it with the computer, the RME takes the lead, as it is much easier to route your signals using the amazing Fireface Mixer software available for it, rather than having to delve into a series of menus to configure the basic routing of your outputs. If you want to do everything with your DAW, the difference might not be big, but I still feel the RME Fireface 800 ends up having the edge on this one! 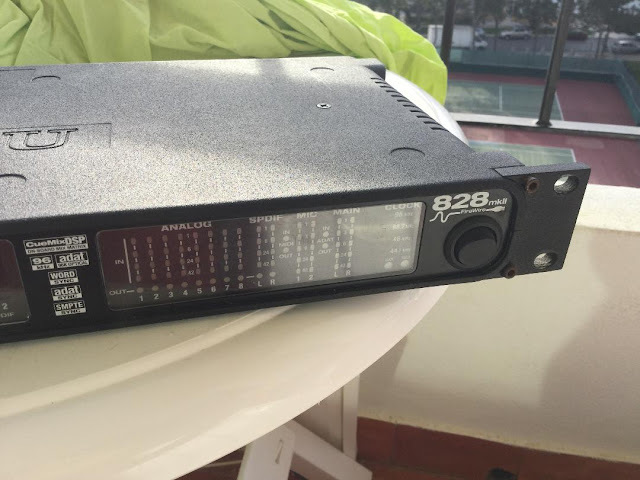 Despite I still think the RME Fireface 800 is the better machine, it is impossible to deny that the MOTU 828 MkII is still a really nice machine, and in my opinion a much better deal nowadays! 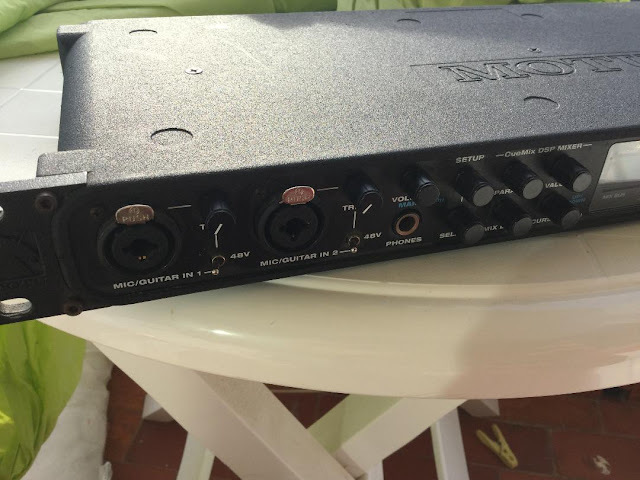 Since I wanted to keep just one, the RME Fireface 800 was the obvious choice. If I was, my opinion on this would likely be considerably different!